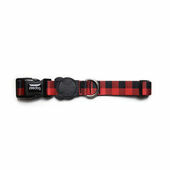 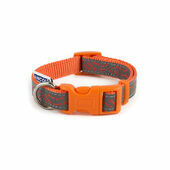 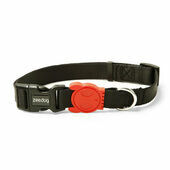 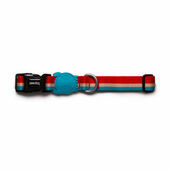 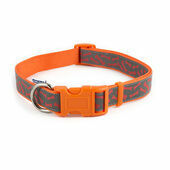 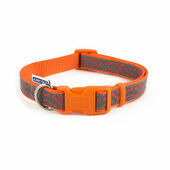 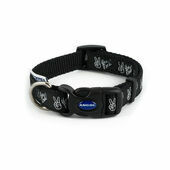 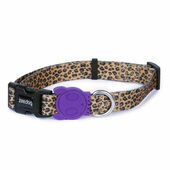 Finished with a rubber Zee Dog skull logo that covers and protects the collar's stitching , the Zee Dog "Wiz" Dog Collar is capable of offering both style and functionality due to its easy-to-use 4-point lock system buckle and the tough, unyielding plastic material used to make it. 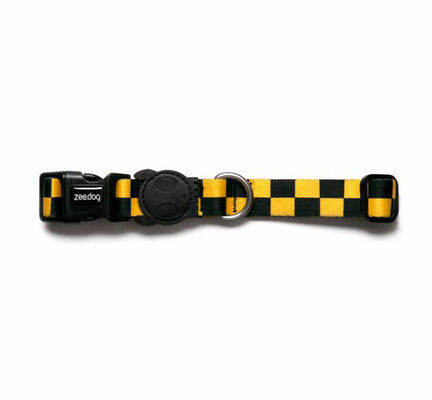 Available in three sizes and fully adjustable, the Zee Dog "Wiz" Dog Collar has a heat transfer ability that effectively ensures it will sit comfortably on your dog's fur. 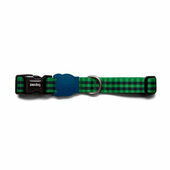 Moreover, the polyester plastic employed to create it guarantees that this adjustable dog collar will be a reliable and secure accessory for your beloved pet.